Former Ivory Coast international Emmanuel Eboue's latest status was discovered during a medical at Cypriot side Limassol. 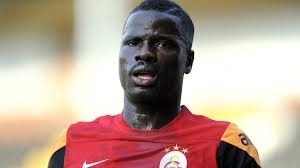 Former Arsenal defender Emmanuel Eboue has been diagnosed with the HIV virus. The former Ivory Coast international’s status was discovered during a medical at Cypriot side Limassol. Report says the HIV virus was detected in Ebuoe’s blood. When rumours were rife about the player’s health condition, Eboue’s agent Tekin Birinci wrote about the player’s status on Facebook. But according to Ghana Soccernet, it is now confirmed that the player is HIV positive. The right-back had agreed on a 12-month deal with the Northern Cypriot club after serving a one-year ban from all football-related activity for failing to pay a former agent.